Picturehouse is set to release Metallica Through the Never in IMAX 3D on Sept. 27 and expand it into theaters everywhere on Oct. 4. A full-length trailer for the Nimród Antal-directed film—a mix of concert film and narrative feature—was debuted at SDCC . 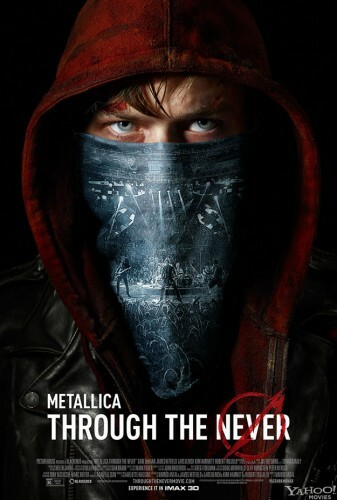 Dane DeHaan (Chronicle) toplines the film as a Metallica roadie sent to recover a mysterious item for the band in the midst of a sold-out show. An automobile accident strands him on the city streets where a violent and massive riot has broken out. Making matters worse: a horseman is out to kill him.